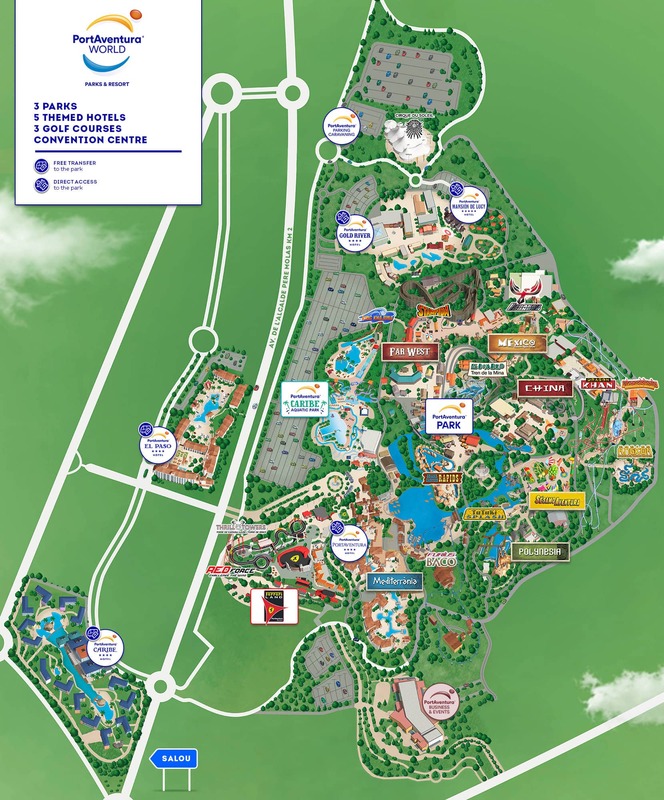 There are many ways to get to PortAventura, and we have thought of them all, just to make things even easier for you. Now you can reserve a transfer or rent a car via our website. And since we want you to only have to worry about enjoying your holidays with your family or friends, you can choose either of these three options that will take you wherever you want. PortAventura is the beginning of a holiday with endless possibilities. Are you ready to enjoy it? 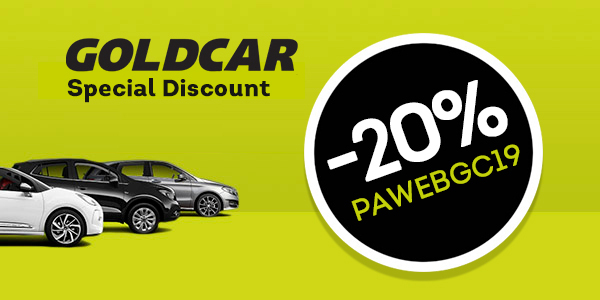 And if you also want to explore the Costa Daurada, Tarragona or the area around PortAventura, you can also rent a vehicle here: with GoldCar, the official PortAventura car hire partner, benefit from a special 30% discount on your car rental. The latest models and exclusive offers to drive to the beach, Barcelona, travel the Mediterranean coast, delight in our gastronomy and shopping... and discover everything on offer in the vicinity of PortAventura at your leisure. PortAventura also makes it so easy to travel by bus! Wherever you may be, you can find a bus service that will take you to the resort. We offer a number of options so that you can choose the route that best suits your needs. 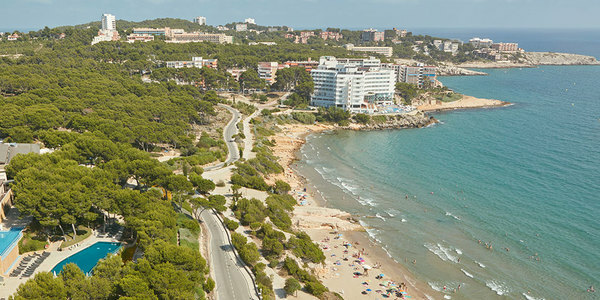 To get to the Resort, the bus company Plana offers a daily and continuous service from Reus and Barcelona airports and from the Camp de Tarragona AVE train station. 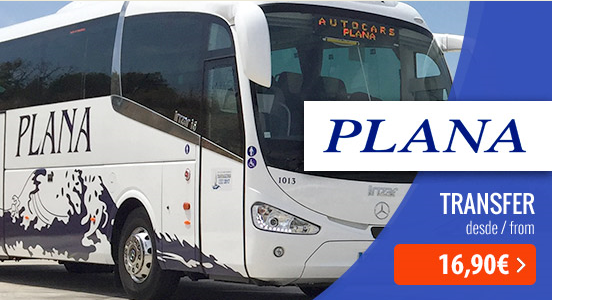 Plana also offers services from the coastal towns of Cambrils, Salou and La Pineda, as well as from Tarragona and Reus, for comfortable and convenient travel to the Resort. Stop situated on the ground floor of Terminal 1, Barcelona Airport. The buses are parked on platforms 7 to 12. The stop is situated at the exit of the arrivals area just outside Reus Airport. The stop is located off the main lobby of the station on the platforms intended for public transport. See timetables for direct services and services with changes. You can get to PortAventura by hiring a transfer from any Airport with flights to Reus or Barcelona, which will take you to our rides, hotels and beach in next to no time. A comfortable vehicle will transport you from the airport straight to PortAventura. Just enter and book, it's that easy. Are you planning on visiting Barcelona, or staying somewhere close to this great city? Julià Travel operates excursions so that you can discover the PortAventura World parks. 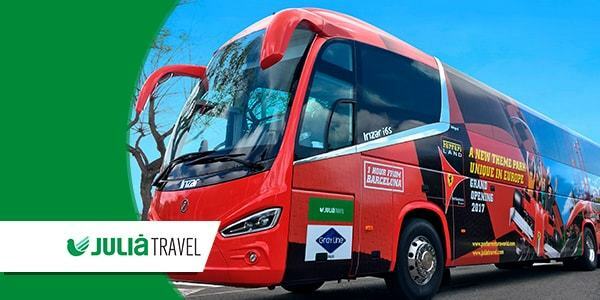 The Julià Travel bus company offers lots of different options to visit us from Barcelona. Click here to see all the excursions departing from Barcelona.